A mediator is not just for divorce. In fact, there is an organization, Mediators Beyond Borders, which promotes the use of mediators in all sorts of international conflicts. 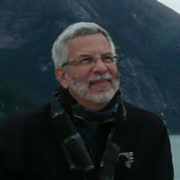 A representative of the organization has even spoken in front of the United Nations to encourage mediation. Regardless of your perspective on the recent summit between U.S. President Donald Trump and North Korean leader Kim Jung Un, there is one thing that seems clear to me: they could use a mediator. How Do I Know If My Kids Are OK During My Divorce? 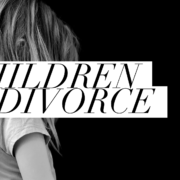 Divorce is not only stressful and life changing for you, but also for your children. As a parent, you want your children to come out of your divorce as unscathed as possible. How do you ensure that happens? You are likely more emotional and busier than ever during your divorce process. However, now is the time to stay connected with your children. Spend special time with them doing activities that they enjoy. Check in with their teachers, coaches, and friends to make sure that they are doing okay. https://familydiplomacy.com/wp-content/uploads/2018/06/ChildDivorce.png 1147 2048 Adam https://familydiplomacy.com/wp-content/uploads/2016/12/Family-Diplomacy-Logo.jpg Adam2018-06-07 08:15:572018-06-06 17:02:30How Do I Know If My Kids Are OK During My Divorce? There has been a growing recognition over the past few decades that courtroom divorce, an adversarial process that pits husband against wife, is a dreadful and harmful method to resolve family disputes. As a result, the Florida Supreme Court, like many other judicial bodies, declared that family matters needed “a system that provided nonadversarial alternatives and flexibility of alternatives; a system that preserved rather than destroyed family relationships;…and a system that facilitated the process chosen by the parties.” In re Report of the Family Law Steering Committee, 794 So. 2d 518, 523 (Fla. 2001). Two alternatives that have developed to fill this space are mediation and collaborative divorce. 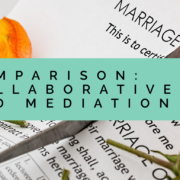 As collaborative divorce is a relatively new option, and there exists much confusion – even among experienced family law practitioners – about the differences between these two methods of dispute resolution, this article looks to compare and contrast mediation and collaborative divorce. Mediation is generally a one-time meeting where the parties come together, along with a mediator, to attempt to settle disputes. In Florida, the parties’ attorneys are also in the room, though other jurisdictions exclude attorneys. The mediator is a neutral actor who does not have the power to force the parties into any type of settlement, but can only encourage them to reach an agreement. A mediation conference will generally last from 3 to 8 hours or more. If the parties cannot reach an agreement in that meeting, then they tend to go to court, usually multiple times. What Should I Tell The Kids About Our Divorce? If you have children and are going through a divorce, your biggest concern is likely how your kids will be affected. When is the best time to tell your children, and how much should you share with them? Your children will know that something is going on, and leaving them in the dark may cause more apprehension and stress in them than just being upfront. Establish a united front early in the process, and tell your children together that you are separating. Assure them that while things will be different, everything will be okay. Alleviate their fears that your divorce is in any way their faults. Remind them often during the process that everything will fine and it is not their faults. https://familydiplomacy.com/wp-content/uploads/2018/03/4549436403_b5a40486ce_n1.jpg 213 320 Adam https://familydiplomacy.com/wp-content/uploads/2016/12/Family-Diplomacy-Logo.jpg Adam2018-03-12 07:55:342018-03-11 20:10:15What Should I Tell The Kids About Our Divorce? Mosten: Is Your Divorce Lawyer Informing You? If you are considering divorce, you likely think that whether you can have an amicable or collaborative divorce depends wholly on your spouse. 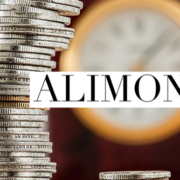 Certainly, the attitude and ability of your spouse to compromise has an effect, but in my experience the attorneys that you and your spouse choose has a much bigger impact. 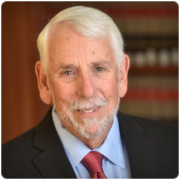 If you and your spouse choose attorneys whose primary orientation is litigation, then there is a good chance that you will face a court battle. Your litigation attorney will likely draft a petition for dissolution of marriage asking for everything, and then have a process server or sheriff’s officer serve your spouse. These tactics are all intended to intimidate your spouse and get them to submit. It should be no surprise that this usually elicits the opposite of the intended response. Not willing to submit, your spouse hires a “bulldog lawyer,” and the battle is on. Say goodbye to your children’s college saving. Know that this money will now be going to your lawyers’ children’s college tuition. Fortunately, there is a different way. https://familydiplomacy.com/wp-content/uploads/2018/01/WoodyMosten2017.png 280 280 Adam https://familydiplomacy.com/wp-content/uploads/2016/12/Family-Diplomacy-Logo.jpg Adam2018-01-22 07:45:122018-01-18 12:19:31Mosten: Is Your Divorce Lawyer Informing You? If you are getting divorced, you want to move forward as peacefully, quickly, and cost-effectively as possible. And so you should learn about collaborative mediation. 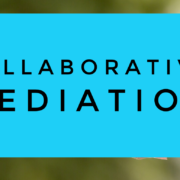 Collaborative mediation is a combination of two forms of private dispute resolution: mediation and collaborative divorce. 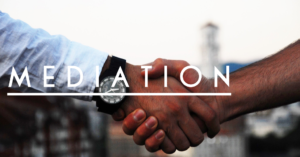 In mediation, you meet face-to-face with your spouse along with a neutral mediator (or co-mediators). The mediator does not decide issues for you. Rather, the mediator is there to facilitate an agreement between you and your spouse. What is said during mediation is private and confidential. This means that statements or offers made in mediation cannot be used against you later in court. 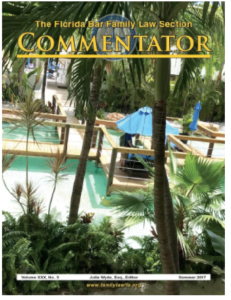 This confidentiality is protected by the Florida Mediation Confidentiality and Privilege Act (Florida Statutes §§ 44.401-44.406). Though the mediator can help you and your spouse reach an agreement, he or she cannot provide you with legal advice. The mediator, for example, cannot tell you if you are making a good or bad deal. https://familydiplomacy.com/wp-content/uploads/2017/02/Collaborative-Mediation.png 776 2048 Adam https://familydiplomacy.com/wp-content/uploads/2016/12/Family-Diplomacy-Logo.jpg Adam2017-02-22 07:30:072017-02-19 11:18:32What is Collaborative Mediation?